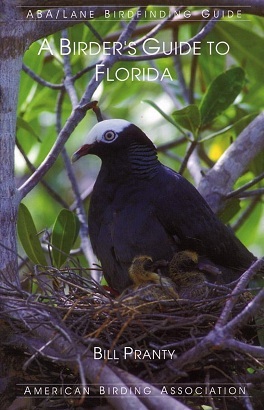 Florida is one of the most popular birding destinations in the Western Hemisphere—and it is well-served by the most popular birdfinding guide ever published, Bill Pranty's A Birder's Guide to Florida, released in 1996. For international birders Florida offers an accessible, comfortable introduction to subtropical birding. North American birders savour Florida as the place to see species not found elsewhere in the US and Canada, such as Snail Kite, Short-tailed Hawk, Black-hooded Parakeet, Mangrove Cuckoo, Black-whiskered Vireo, or Florida Scrub-Jay. These are but a few of the Florida specialties that make a trip to the Sunshine State such an exciting adventure for all birders. Bill Pranty, with the help of dozens of the state's birders, has now rewritten his acclaimed 4th edition. More than 330 birding sites are described, and more than 400 species accounts are now included. A Birder's Guide to Florida's comprehensive introduction helps birders to understand seasonal bird distribution in Florida's various habitats. Whether you are hoping to see fairly common birds such as White-crowned Pigeon, or are searching for elusive birds such as Black Rail, or wish to be surprised by the discovery of an unconventional bird such as Scaly-headed Parrot, this birdfinding guide and your field guide are the only books you'll need. 418 pages.